DivX is an award-winning video software for Windows and Mac OS X, that includes everything you need to play, create, and stream all the most popular digital video formats, including DivX, MKV, and HEVC up to 4K. DivX offers a powerful toolset which consists of DivX Player, DivX Web Player and Media Server, DivX Converter and the DivX HEVC Plug-in, all designed to give you the best digital video playback, streaming, encoding, and experience. DivX technology helps people around the world get more from their digital media. DivX is a subsidiary of NeuLion, a worldwide leader in digital video broadcasting, distribution and monetization. It provides a global community of users technology and tools to watch, convert and cast their video. For over 15 years, DivX has been focused on bringing about a better media future. The program is has been downloaded well over one billion times and there are over one billion devices worldwide that play back DivX video. 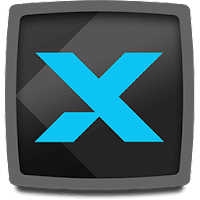 Use DivX Converter to create DivX, AVI, MKV, and MP4 videos. Converting videos in DivX formats ensures your files will play on more than 1 billion DivX Certified devices. Easy, one-click conversion makes file savings and device compatibility accessible to anyone. The ability to set bitrate, limit video resolution and file size, combine multiple clips or save custom presets allows more advanced users the ability to personalize the encode experience. HEVC encoding modes give you even more control over when to maximize quality or prioritize speed. With the optional paid MPEG-2 Plug-in, DivX Converter can also convert MPEG-2 video formats (MPEG, TS, VOB, SVCD) into DivX formats to give you major file savings. Enjoy multiple languages with up to 8 audio tracks and subtitles--even play two subtitles at once! Watch your video with smooth FF/RW, pick your scene easily with Chapter Points, and organize your library with custom or auto-generated playlists. Transfer videos to a DivX Certified TV, tablet or mobile phone, and stream your video collection to any DLNA-compatible device with the DivX Media Server. DivX Web Player is a simple cross-browser web extension that streams all popular video formats with progressive playback, adaptive bitrate streaming and live streaming technologies. Disclaimer: Direct downloads for the lastest version of DivX 10.8.4 are provided by the official software's author, we can't guarantee safety, availability or download speed. Moreover, we don't and we won't provide any pirated/illegal versions or tools. We recommend you to avoid it as these methods can harm your device. If you like the software, buy it to support the developers. (We provide software discounts for many worldwide brands).